We loved Google’s flagship Chromebook, the Google Pixelbook, so new rumors suggesting that the search company is working on an AltOS mode, potentially allowing users to install a secondary operating system, has us very excited indeed. Evidence that Google is working on something known as AltOS mode was uncovered by a Reddit commentator, who found references to the mode in the updated development code for the Pixelbook. So, this newly-found AltOS mode could be paving the way for developers to add Fuchsia OS, an operating system that Google is working on that should combine elements of its Android and Chrome operating systems, to the Pixelbook. This follows news in December that Google was testing Fuchsia OS on the device. 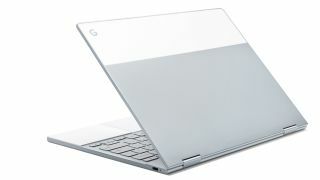 But another possibility is that the AltOS mode could allow people to install operating systems such as Windows 10 or Linux alongside the default ChromeOS, so Pixelbook owners could choose to boot into the OS of their choice, a feature known as dual booting. Either way this would massively improve the usefulness of the Pixelbook, which is a pricey laptop that currently only runs Google’s limited ChromeOS software. The ability to run Windows 10 on the Pixelbook, for example, would make it an appealing laptop for users who rely on tools such as Microsoft Office that can't be run on ChromeOS. We'll be watching these developments very closely.